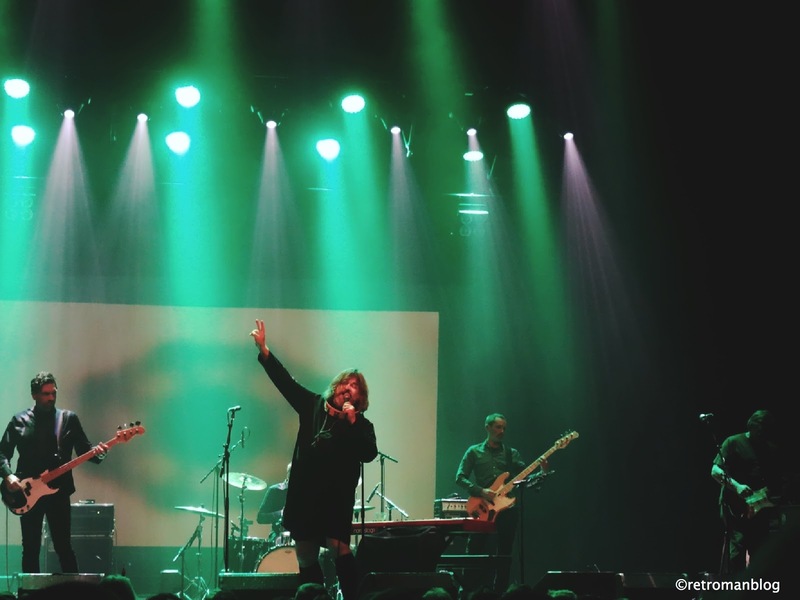 Earlier this year came the exciting news that Union Carbide Productions, the legendary Swedish Psychedelic Punk band who were to evolve into The Soundtrack of Our Lives, were getting back together to promote the release of the “Live At CBGB’s New York 1988” album. They played two high profile summer outdoor shows at the Liseberg and Gröna Lund amusement parks in Gothenburg and Stockholm respectively. I was gutted that I had to miss these, even more so when I heard reports about how great they were afterwards. 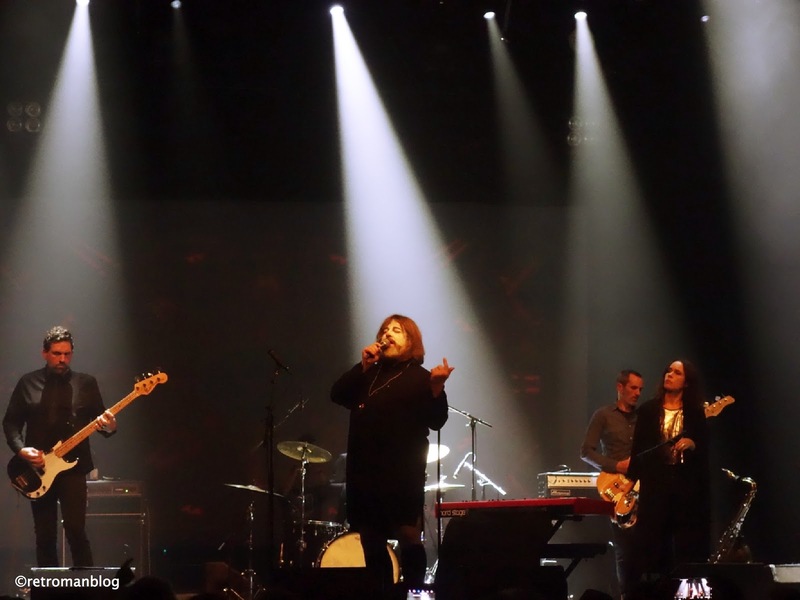 However, following the success of these two gigs there came the sudden announcement of three more quick-fire dates in Malmö, Stockholm and Gothenburg. I could only make the Gothenburg show and the initial excitement was dampened somewhat when I saw that the venue would be the Stora Teatern. Now I like this place, it is a beautiful building right on the canal side at Kungsparken but it is a proper all-seater theatre with balconies and boxes and all that. 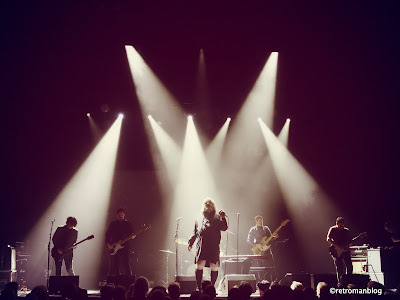 When we saw Ebbot & The Indigo Children there earlier this year, we nearly got caught out as the gig started promptly at 7pm. Surely, it couldn’t be the same for Union Carbide Productions, one of Sweden’s most outrageous and confrontational bands? However, there were clues that it was going to be an early night as we saw advertisements that Ebbot was playing another solo gig in the city at 10pm. Friends speculated that sometimes the Stora held gigs at the back of the venue and that was all standing so we might be in luck. Unfortunately not. We entered the venue into the seated auditorium. 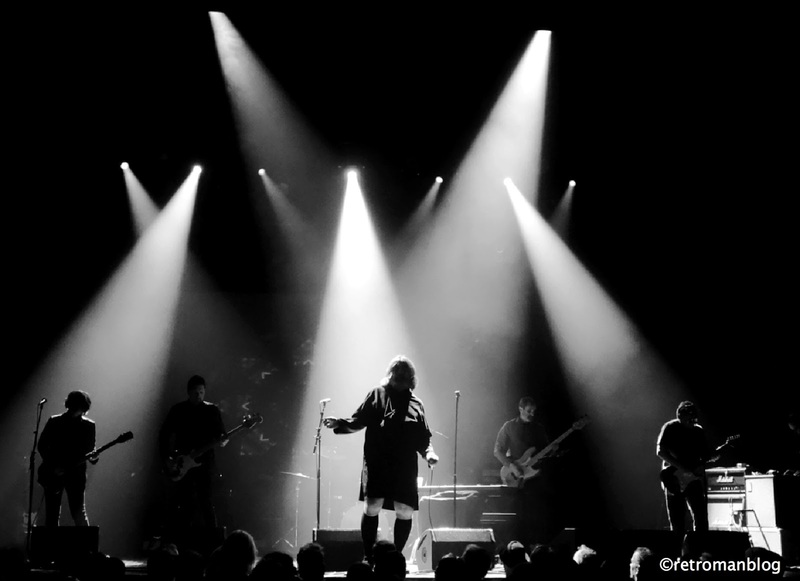 Suddenly, the house lights dimmed and the band appeared on stage promptly and crashed straight into the classic “Financial Declaration” with Ebbot screaming the songs central theme “I want more!” as we were still trying to find our seats. There were photos of people stagediving at the Stockholm gig the night before and I saw videos from the Liseberg after-show party where the band played an intense, highly charged set at a smaller venue. Even Ebbot stage-dived at that show, much to the consternation of those in the front row I can imagine. 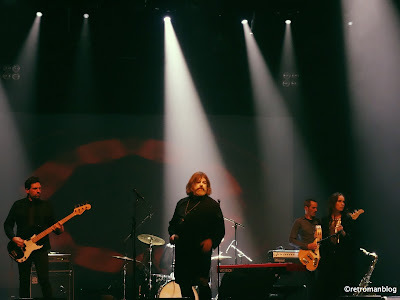 That was more of what I was expecting and looking forward to but there was no chance of Ebbot stagediving at the Stora Teatern, that’s for sure! It is quite difficult to explain the feeling when you are watching a band like UCP sitting down, you want to get up and jump about and go crazy but everyone remained seated throughout the whole show and it was a surreal experience. 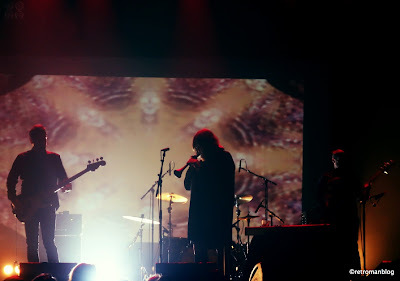 It must have been a bit weird for the band too, after all Ebbot in particular thrives on interaction and often confrontation with an audience but they channelled any restrictions they must have felt into the music and they sounded amazing. It reminded me of seeing The Brian Jonestown Massacre last month where I had seats at the front row of the balcony at a reasonably large venue. 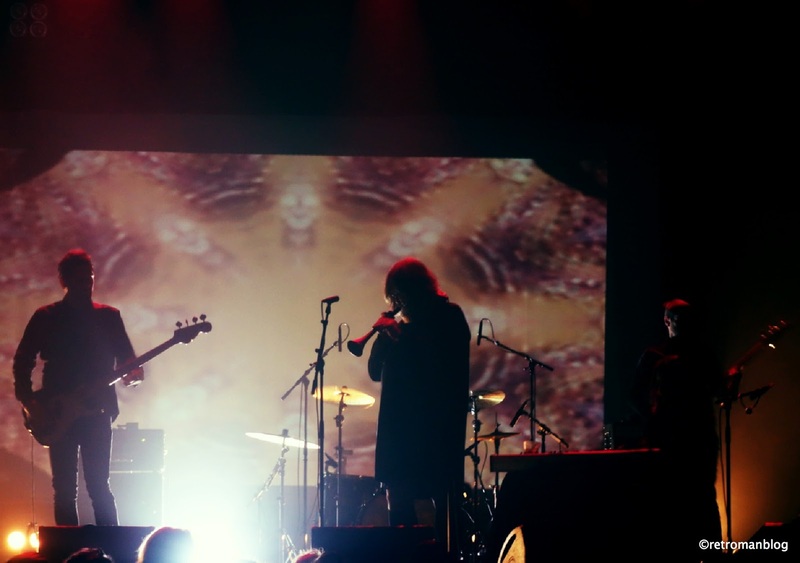 Now that Anton Newcombe has managed to curb his more confrontational behaviour and people are no longer turning up at gigs trying to goad him into violence, you are left to concentrate on the performance, and most importantly, the music. This is where I can have no complaints with the Union Carbide Productions show. In fact, just like the BJM, once you take away the unpredictable, chaotic and dangerous elements of each band you just have to appreciate and marvel at the sheer quality of the song writing. It was something that certainly shone through in this environment and proved what a superb back catalogue and musical legacy they have left behind. The Stooges were an obvious influence on early UCP but Ebbot didn’t just take Iggy’s primal howl as his vocal inspiration – he took on his crooning baritone too. I can understand why Ebbot also loves early Misfits with Glenn Danzig’s impressive voice floating over their primitive Punk music. It’s what our good friends The Fallen Leaves spoke about in their Retrosonic Podcast special episode – that juxtaposition of Rob Green’s ‘proper’ singing against the discordant angular guitar of Rob Symmons, it’s a special chemistry. However, Union Carbide Productions also absorbed The Stooges sax driven Free-Form Jazz stylings too and tonight the addition of the excellent Lisen Rylander on Sax and Keyboards was a really nice touch, allowing the songs to develop just like on the records. For example the slow and hypnotic “Career Opportunities” which is based on a great repetitive bass riff and Ebbot sings “I'm waiting for change, for a different song" as it segues into the instrumental psych wig-out “Down on the Beach”. One of my highlights of the night is “San Francisco Boogie” which again is built around a snaking bass riff and is shot through with an exotic Eastern feel. In fact they were to record a sitar version and it’s certainly a distinct precursor to The Soundtrack of Our Lives classic “Mantra Slider”. There is so much going on in my head when I listen to UCP, from the Stones swagger to touches of the abstract Post-Punk of bands such as Pere Ubu and the challenging, thought-provoking music of Captain Beefheart. Take the classic “Born in The ‘60’s” which at first sounds just like a straight ahead storming Rock’n’Roll number but then you realise that the drumming is totally off the wall, the time signature is mind-bendingly weird and that is down to Henrik Rylander’s brilliance as a drummer. It also reminds me that there must have been some influence of Krautrock bands such as Can and Neu! in UCP’s relentless groove. The tribal, almost Glam Rock drum pattern that kicks off the immense “Glad To Have You Back” is a reminder that Ebbot has been lucky enough to work with some truly fantastic drummers over the years such as Henrik, Fredrik Sandsten in TSOOL and then with Hugo Mårtensson and Anton Fernandez in The Indigo Children. The rhythm section is completed not by one but two bassists. There’s original member Per Helm, who played on the first two LP’s and his replacement Adam Wladis, who despite appearing at the infamous CBGB’s show and the subsequent live album (which, after all was the initial reason for the reunion) didn’t get to record in the studio with the band as far as I know. Rather than take turns on songs they play the whole set simultaneously, both looking cool dressed in black and flanking Henrik’s drum kit. At first, I was a bit sceptical about the two basses but it worked really well, it wasn’t as bombastic as I was expecting, they built a nicely menacing wall of sound. The machine gun staccato attack of “Three Mile Eyes” is counterbalanced by the brooding “Down On The Farm” with Ebbot sounding like Jim Morrison as he draws out the “beautiful friend” line. Patrick Caganis is an undoubted genius on the guitar and I was so pleased to finally get to see him play live. Looking good with his blonde hair and mirror shades, he channels all the best of Ron Asheton and James Williamson into his stinging guitar riffs and as the songs whizz past I’m getting flashes of Denis Tez, Fred ‘Sonic’ Smith and Wayne Kramer all swirling round in the mix. He also sings the main vocals on “Got My Eyes On You” a rare excursion to the third album “From Influence To Ignorance”. I think everyone was hoping for an appearance by Patrick’s original guitar partner Björn Olsson, even if it was just for the encore, but sadly, it was not to be. It would have made this home-coming show even more special, after all the band are forever tied to Gothenburg and you can even hear it in Björn’s solo music, which is heavily influenced by the stunning local Bohuslän coastline. In recent years, he has shunned the limelight and concentrated his attention on song writing and production work with some high profile Swedish acts such as Mando Diao and Håkan Hellström and has rarely, if ever performed live since he left TSOOL in 1997. Björn’s place in the current line-up has been taken by the talented Billy Cervin from Side Effects who has been used to playing some of the old UCP songs with Ebbot & The Indigo Children over the past couple of years. He has already proved himself a mighty fine deputy, having previously stood in for Mattias Bärjed in TSOOL on a few occasions. Billy single-handedly rescued our recent Retro Man Blog gig for Ebbot in London by drafting in equally talented musicians for a new Indigo Children line-up at very short notice and it was great to see him again and chat about the London show. Talking of guitarists…I’m also left wondering if further reunions will see an expanding of the set-list to take in more songs from their last two LP’s and if so will we see appearances by Ian Person who is currently busy with his new band Pablo Matisse, now that really would be something really special. Anyway back to the music, a quite remarkable “Maximum Dogbreath” is another personal highlight, the set draws to a close with the classic swaggering “Be Myself Again”, and finally we can stand up and show our appreciation. The well-deserved encore sees a raucous run though of the early Punk favourites “Cartoon Animal” and “Ring My Bell” from the first album and the band are even coaxed out for a second curtain call and a crunching “So Long”. So despite my initial reservations, Union Carbide Productions triumphed against the odds and I feel emotionally drained from finally having witnessed such a superb show from a band I never thought I would get to see play live. 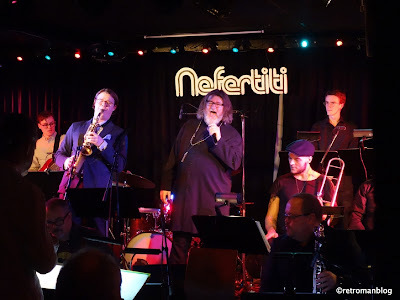 As everything was finished by 9:15pm it meant there was plenty of time to enjoy the after show party which took place at the excellent Nefertiti venue and saw Ebbot fronting the impressive 20 piece New Places Orchestra. It was great to hear Jazz takes on some TSOOL songs such as “Galaxy Gramophone”, “You Are The Beginning” and “Second Life Replay” along with Ebbot’s debut solo single “(Drowning In A) Wishing Well” and UCP’s “Glad To Have You Back”. There were also surprising covers of The Misfits, The Residents and a bit of “Pipeline” thrown in for good measure and all highlighted Ebbot’s excellent vocals. It was great fun and nice to catch up with Kalle & Fredrik from The Soundtrack of Our Lives and the music journalist and long-time TSOOL supporter, Andrew Perry. A perfect ending to a superb night’s entertainment. Union Carbide Productions have another confirmed gig in Oslo in February and there is some more exciting news as it has just been officially announced that the filmmaker Hans-Erik Therus and Producer Hjalmar Palmgren are working on a documentary about the band. It started out as a documentary about Björn Olsson but the idea soon grew to incorporate the complete UCP story. The film is currently under production and there is a start-up Facebook page here where you can get more news on the movie’s progress. For more photos from the Stora Teatern show please check out the Retro Man Blog Facebook page here and there are some videos at our YouTube channel here. Ebbot discussed the reunion and “Live at CBGBs” album in our recent interview in the build up to his Retro Man Blog London show last month and you can check it out in the Blog archive here. You might also be interested in the story of Nymphet Noodlers; the other great pre-TSOOL band in the archive here. For the full story on Union Carbide Productions, you cannot better the immense feature in issue 16 of Mike Stax’s superb “Ugly Things” magazine.